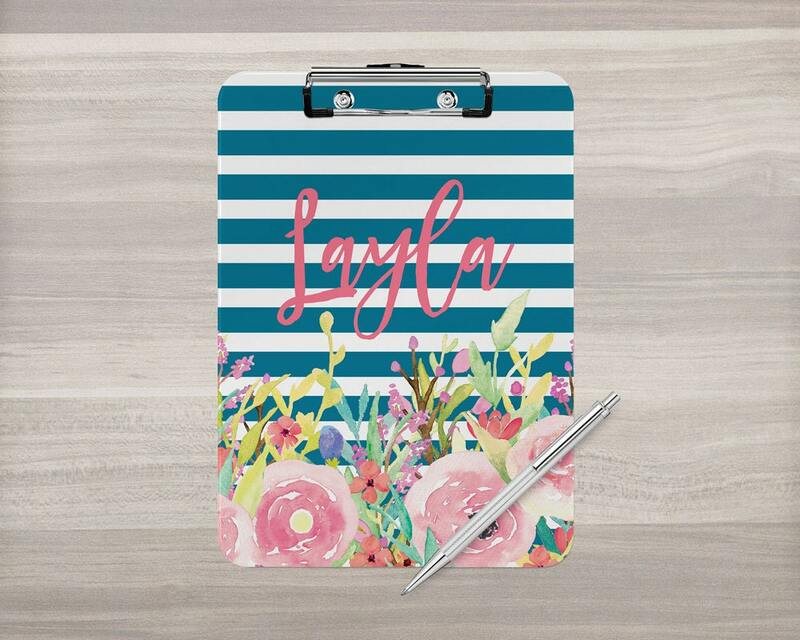 Keep papers together in style with our beautiful stripe and floral clipboard, available in multiple colors. 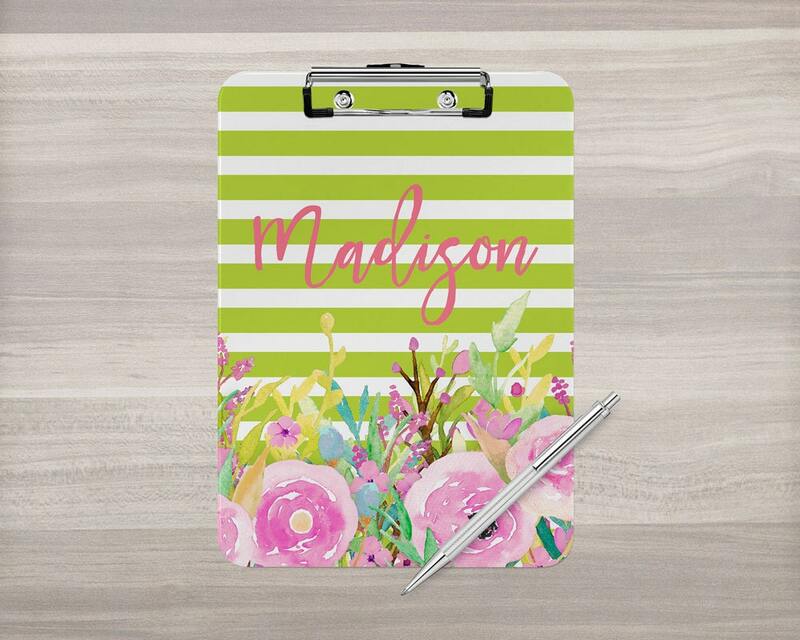 Artwork is printed on both sides, so your design can be seen even when the clipboard is holding papers. 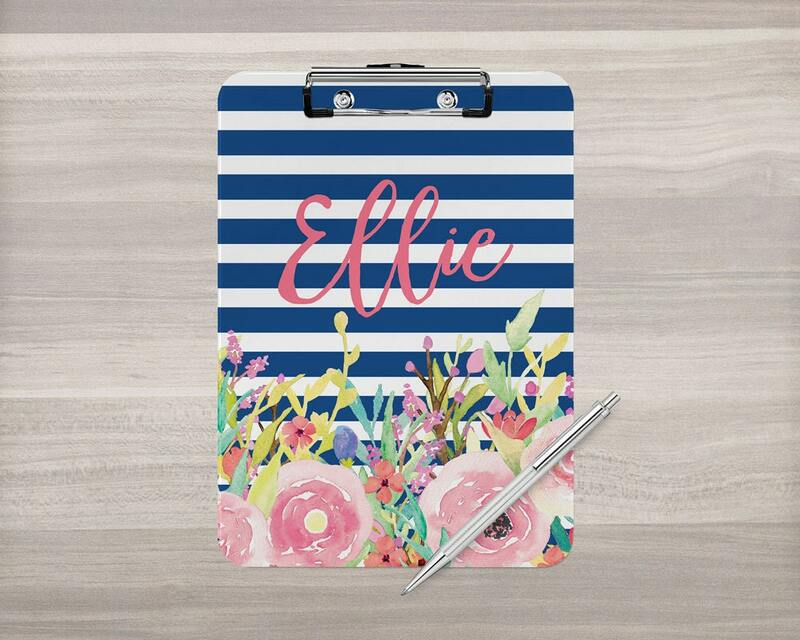 Dry-erase surface makes it even more versatile. 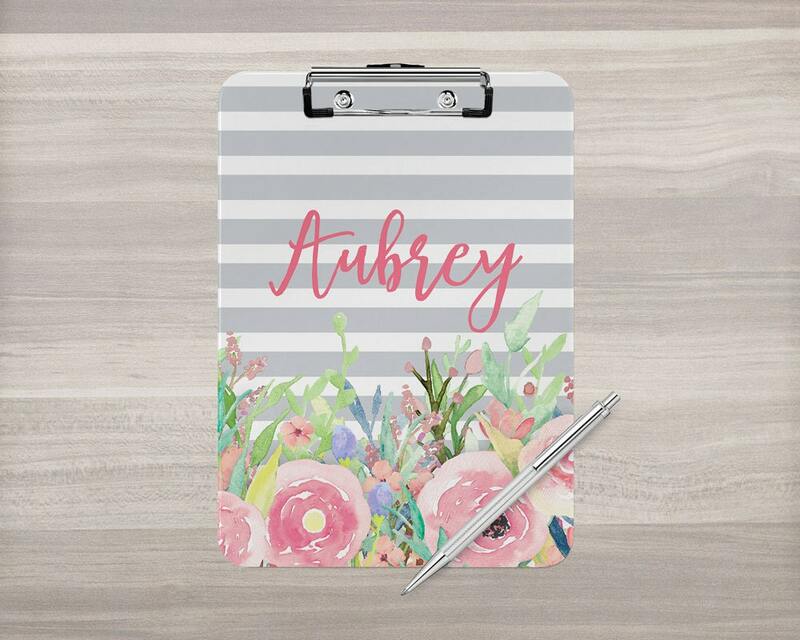 When placing your order, please provide the name you would like printed on the clipboard in the note to seller box at checkout. Beautiful colors and great quality. 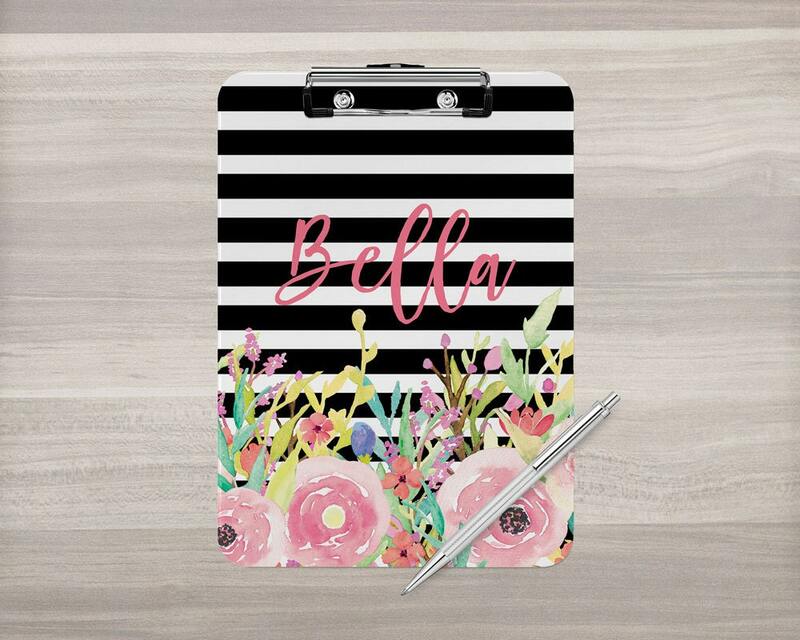 So cute and durable! Def. recommend! Even prettier in person. Great quality!